Hunter Grille Guards provide customized front end protection for the headlight and front end of the vehicle. The 1.5" diameter tube frame is a vehicle specific design and comes complete with mounting bracket kit. 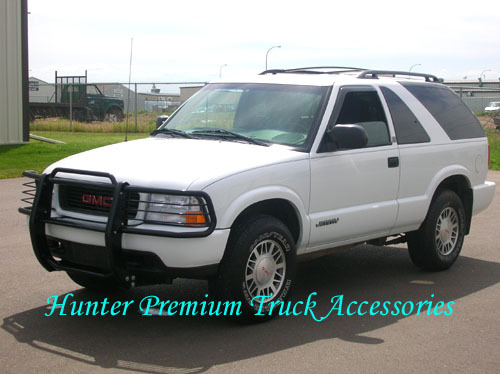 Hunter Grille Guards equipped with light mounting holes and removable headlight guards with no drilling installation. Center piece requires assembly for some models.